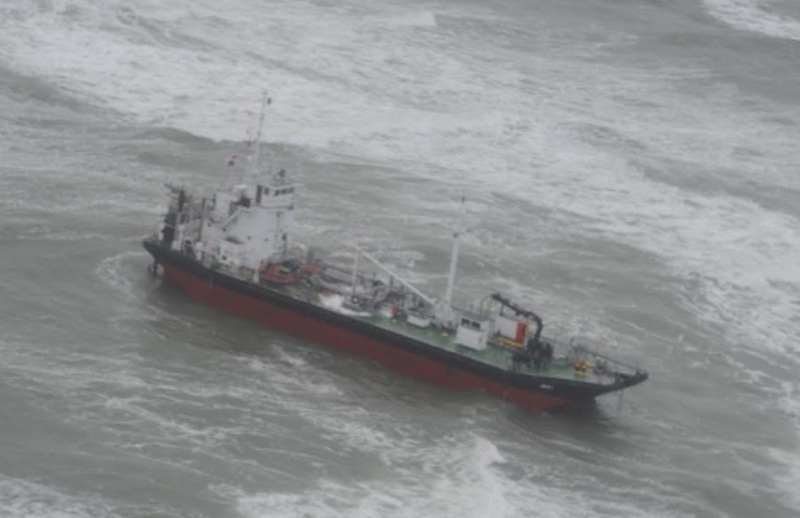 Image of the Arca 1 adrift off Sydney, Nova Scotia courtesy of the Canadian Coast Guard. A small tanker carrying bunker fuel ran into trouble off the Eastern Canadian coastline, but it appears that a disaster has been averted. 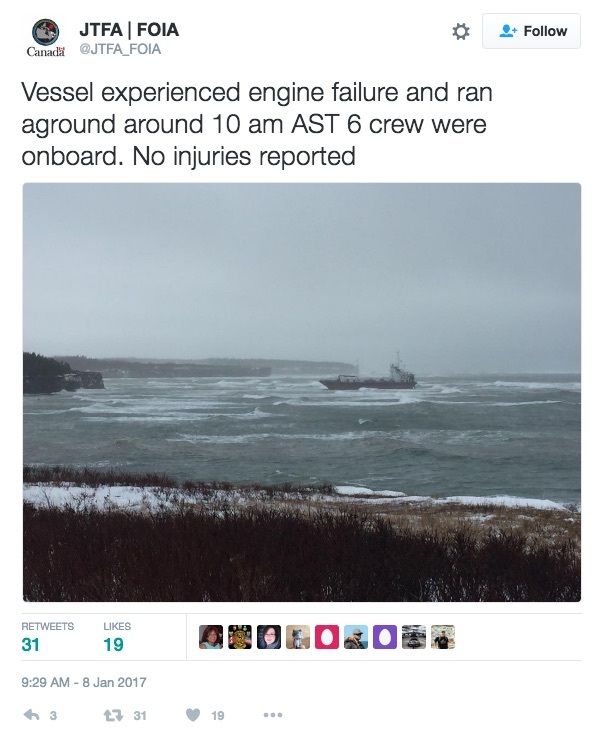 CBC reports the Arca 1, a tanker carrying bunker fuel for other ships, put in a mayday distress call early Sunday morning after experiencing engine failure near Pond Inlet, Nova Scotia. The ship en route to Sydney, Nova Scotia was pushed towards shore by a storm, and eventually went aground near the entrance to Sydney Harbour about 10 am this morning. The Joint Rescue Coordinator Centre in Halifax sent out a cormorant helicopter from 14-Wing Greenwood to help, along with Canadian Coast Guard ships Spindrift and Earl Grey, according to the CBC. There was about 15 tonnes of propulsion fuel on board but none appears to have leaked. The six-member crew is also safe, having being plucked off the ship and dispatched to Sydney. The ship was reportedly built in 1963 and flies under the Panamanian flag.